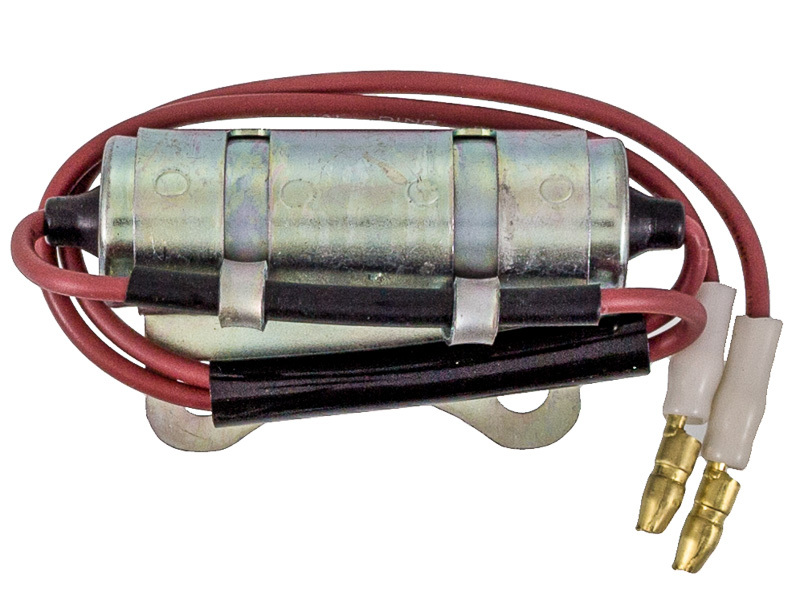 Why You Need This: The ignition condenser is a standard "tune-up" part on any Honda CB350, CB360 & CB450 and is the most common failure part of the ignition system. Regardless of the condition of your Honda CB350, CB360 or CB450, condensers wear out. Yes they do not physically move, however as an electric component they are prone to decay. The condenser's job is to keep the ignition coil charged under high speed and to keep the points from wearing out prematurely. Signs of a bad condenser are burnt points that do not last very long (few hundred miles) before they need replacement. A failing condenser will also let the bike idle OK but tend to keep it from revving very high, AKA your engine seems to cut out at a random RPM and stay there. Installation Tip: Depending on how your bike was configured from the factory the routing of the condenser wires to connect to the ignition coil may need to be re-routed. A quick test to see if a condenser is failing is to watch the ignition points at idle speed on the bike in a dark place. If you see a bright spark at the points every time they open then the condenser is failing. However a small spark every few seconds is acceptable. Q: Is there a single condenser or are there 2? A: There is only one ignition condenser on your 350/450/360 model bikes. 45 year old condensers have done their job, up grade now. The condenser arrived and I installed it with no issues. The motorcycle fired right up. This is a very nice supplier. Lots of good technical information available. I've purchased quite a few things from CMC and will continue to do so as needed. The customer service I've received has always been great - both via email and phone. This part fits perfectly on a '71 CL350, no modification needed on part or connections. This part met all my expectations as all my previous orders with common-motor.